Approximately 15 months prior to Rico’s car accident, our 24-year-old client sustained a fracture to his right knee and underwent surgical repair. Rico’s surgery had an excellent outcome with no significant functional impairment. On September 16, 2017, Rico was sitting in traffic with his seatbelt fastened at a stop light on Clarendon Road when he was struck from behind and violently thrown forward. Rico hit his right knee up against the dashboard, which caused him pain and swelling. In addition, he experienced neck and lower back pain. The Defendant admitted to falling asleep while driving. After the accident, Rico was taken by ambulance to Maimonides Medical Center where he received emergency medical treatment. Thereafter, Rico underwent an additional surgical procedure to his right knee to remove the hardware from his prior knee surgery (called excision of deep orthopedic hardware in right proximal tibia with curettage of bone). He also underwent pain management and physical therapy for his neck and back pain. Rico heard of Adam Handler through his friends at Irie Jam Radio and called The Case Handler for legal help. As good practice dictates, Adam Handler immediately gathered and presented medical records and bills related to Rico’s accident to the insurance company who initially refused to pay for Rico’s most recent knee surgery, claiming it was not related to the accident. Determined to get all of Rico’s medical bills paid as well as full compensation for his injuries, Mr. Handler argued that the accident accelerated Rico’s need for the revision knee surgery. As a result, the defendant’s insurance company agreed to pay for the surgery and awarded Rico the maximum policy limit of $25,000 within only a few months! Far too many times injured individuals automatically assume they do not have a case (or low valued case) because of a past injury they have. 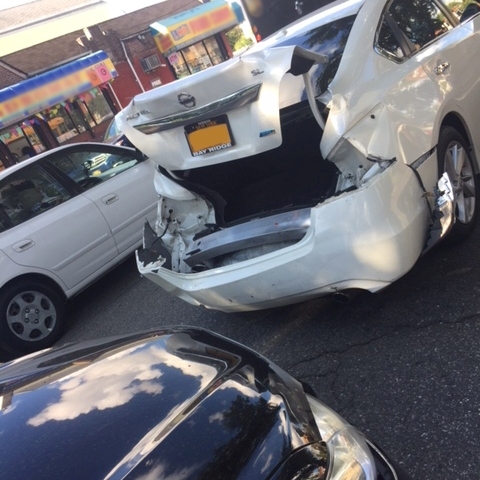 Let a reputable Brooklyn car accident lawyer be the judge of that! Although Rico was injured several months before his accident, The Case Handler team still helped him receive the best compensation he could receive and covered all of his medical bills. If you’ve been injured in a Brooklyn car accident, The Case Handler is here to help guide you every step of the way. For a FREE consultation, call Adam Handler – The Case Handler at 929-223-4195.